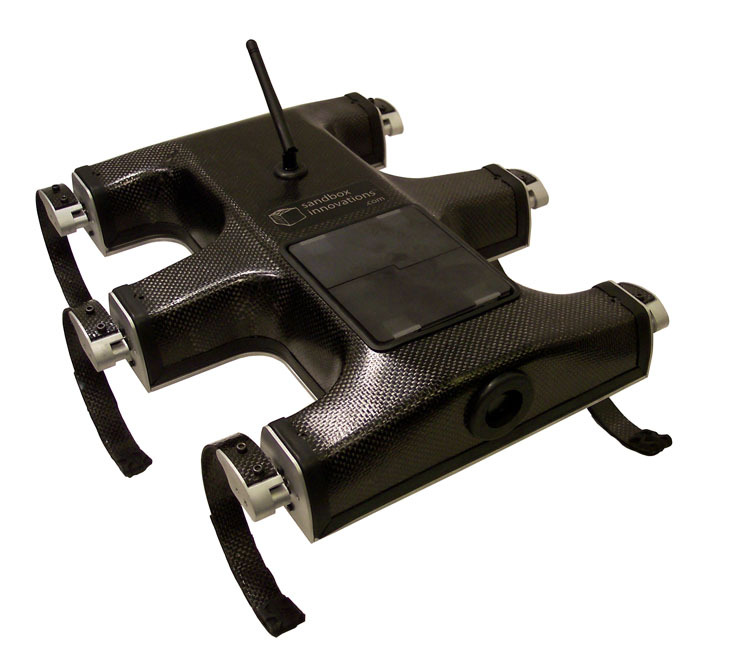 RespondBot RDK with carbon fiber shell removed. 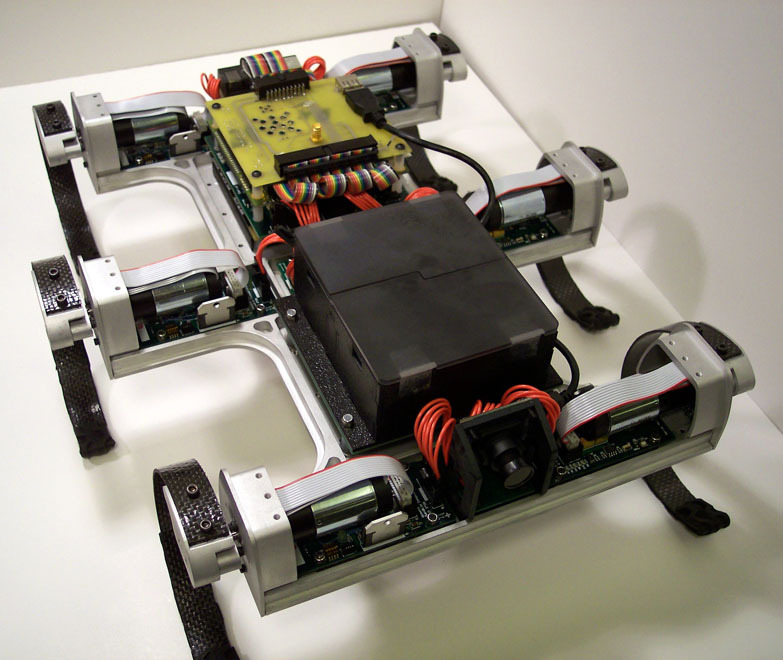 In the summer of 2008, Sandbox Innovations, a start-up robotics company, contracted me to lead a design team to turn Edubot, an educational legged robotic platform, into a commercial product know as RespondBot Research and Development Kit (RDK). I had the opportunity to supervise two very talented undergraduate mechanical engineers, Dan Meana and Matt Nowicki. 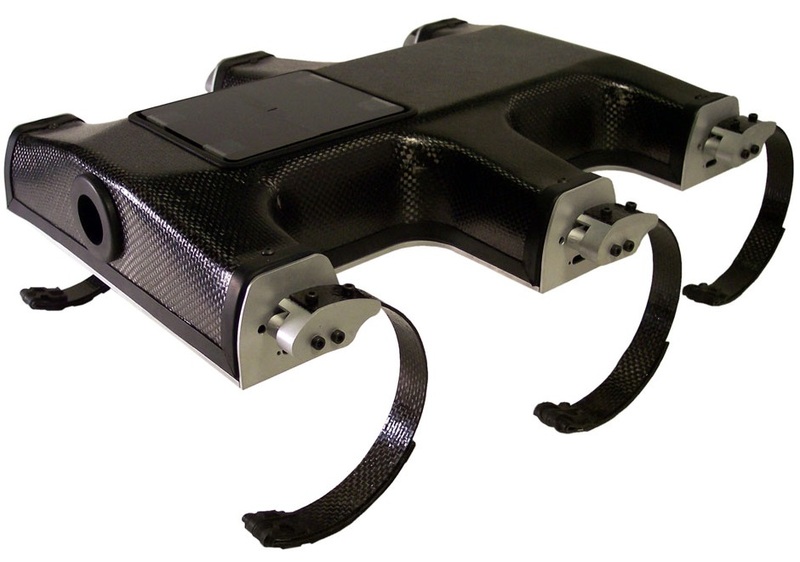 In just under three months, we completely redesigned the Edubot frame from a laser cut ABS construction to the aluminum chassis with a carbon fiber shell that you see on RespondBot RDK. 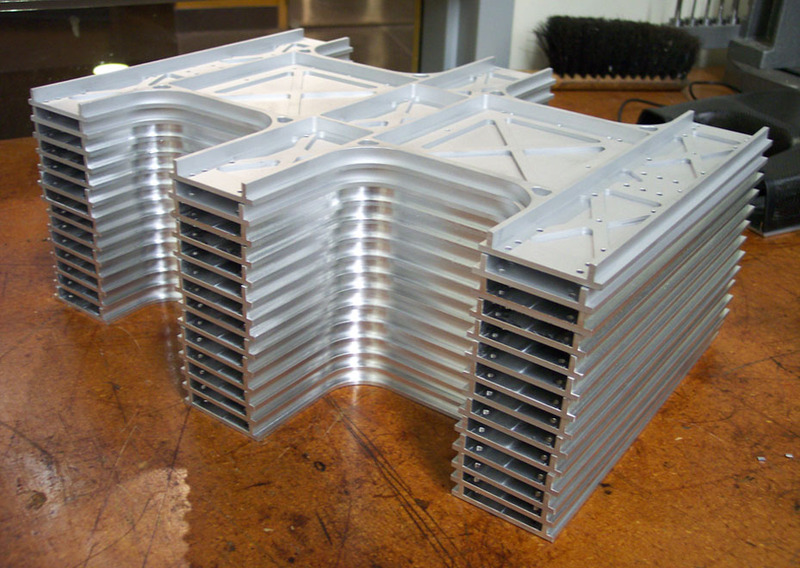 All of the aluminum components were designed and CNC machined in house. Additionally, we learned how to create our own silicon molds to make the carbon fiber shell. 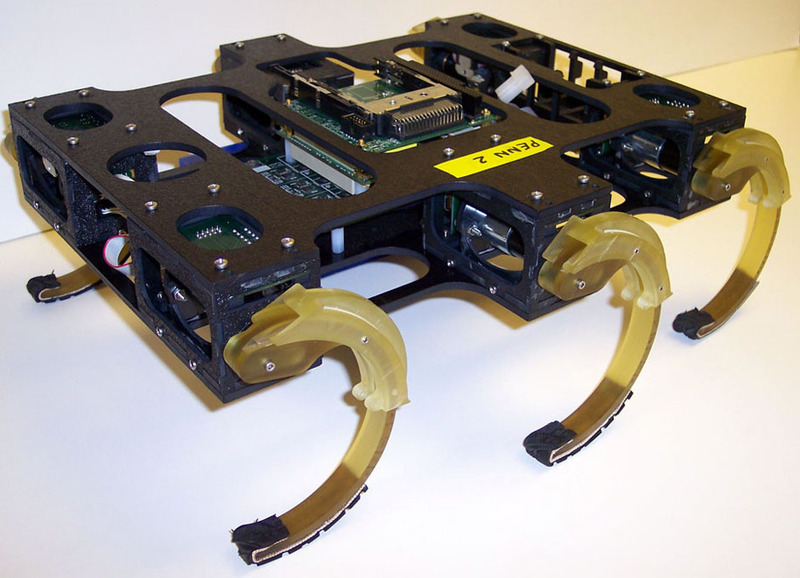 At the completion of the project, we delivered on schedule the mechanical hardware for ten robots.